Liverpool’s mayor says his bid to get stranded football fans to Kiev for the Champions League final against Real Madrid is “really not looking good” after he was unable to find a crew for a back-up plane. 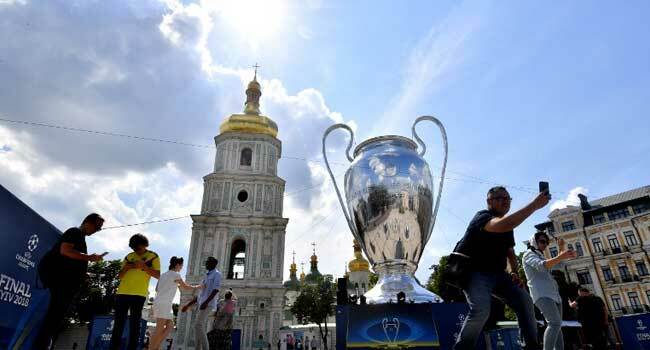 Hundreds of supporters face missing the showpiece match in Ukraine after operator Worldchoice Sports cancelled three flights because it did not have sufficient landing slots at Boryspil Airport. Mayor Joe Anderson said he was working with Kiev’s mayor, former world heavyweight champion Vitali Klitschko, to find a solution for all those who face missing out. He posted several messages on Twitter on Thursday and Friday promising he was trying to find a solution to the fiasco by sourcing a carrier to provide flights from John Lennon airport. But he was later forced to admit that a plan he had hatched with Klitschko looked doomed to failure. Liverpool announced on Friday that anyone who had bought match tickets directly from the club who was due to be on one of the cancelled flights would be able to claim a refund. “Supporters who were booked on flight numbers ET8704 and ET8706, and those who were unable to travel on the rearranged ET8700 flight booked through Worldchoice Sports, will be able to claim the refund,” the club said on their website. Liverpool manager Jurgen Klopp said the club were trying to find a solution and captain Jordan Henderson expressed his disappointment for those stuck back in England. “Hopefully they can find an alternative route, if they can’t I’m sure they will support us back in Liverpool,” Henderson added. The company repeated its apology on its Twitter account on Friday. Financial adviser Jason McGimpsey was told on Thursday his flight was cancelled. “I’ve been offered a refund but it doesn’t go anywhere near compensating me for what I’ve lost,” he added. Chris Bolland, who has supported Liverpool for 50 years, will have to watch the game from home. “I am gutted, to say the least. I am absolutely disgusted and there is nothing I can do about it,” he told the BBC.